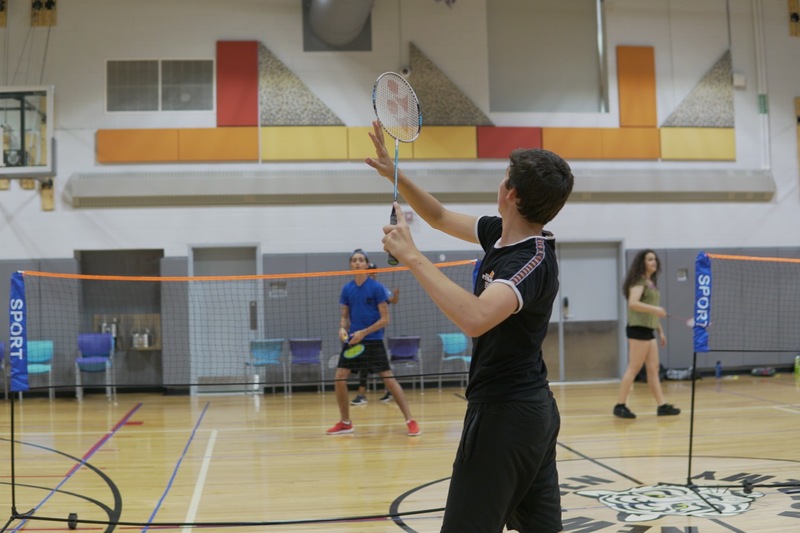 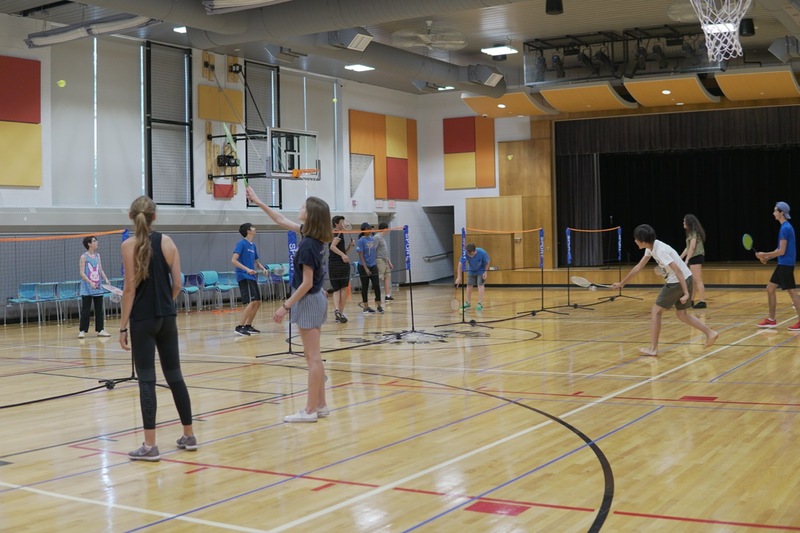 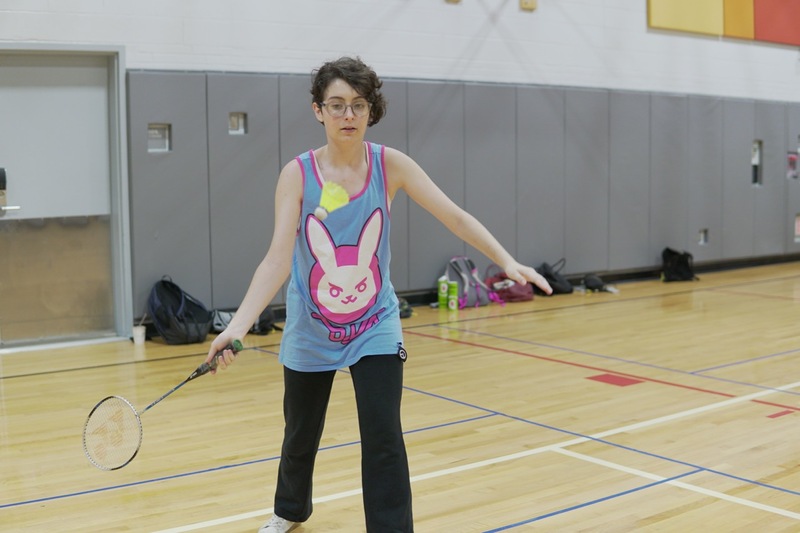 Students in Badminton workshop work on their forehand and backhand during individual and group competitions. 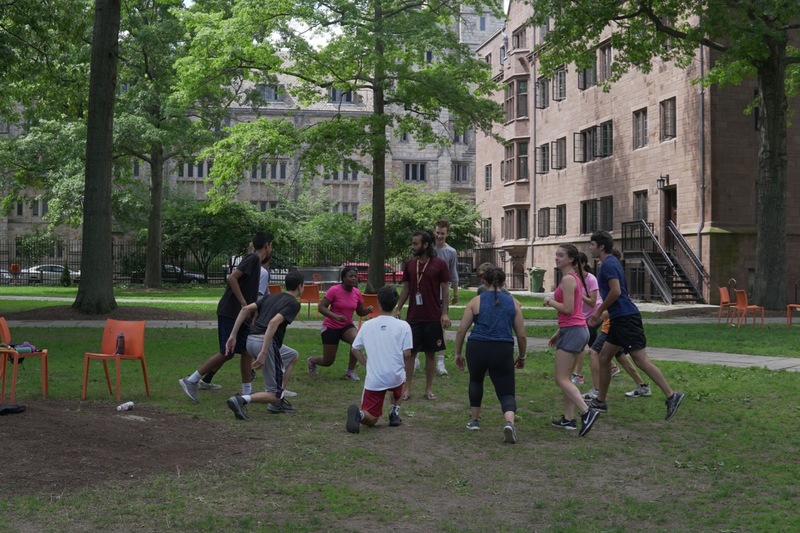 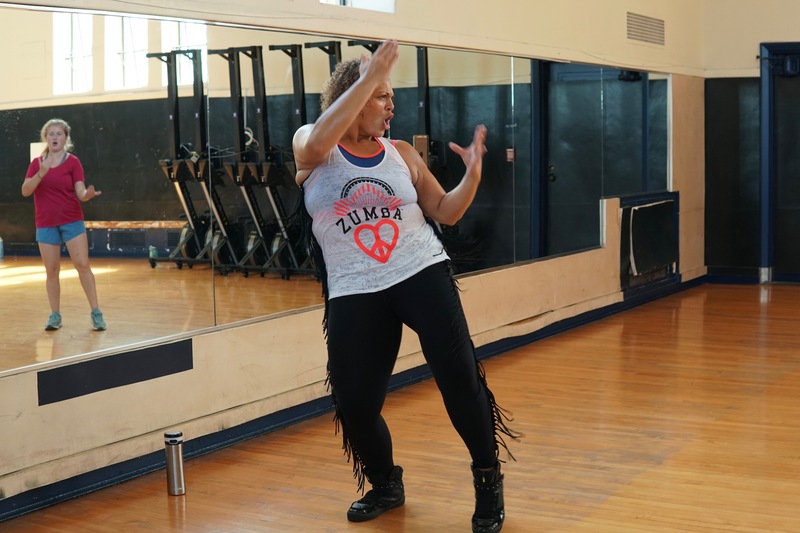 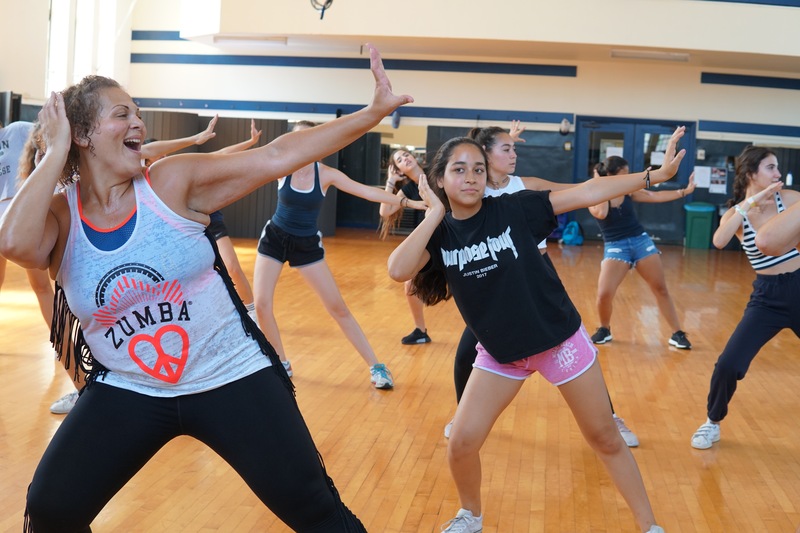 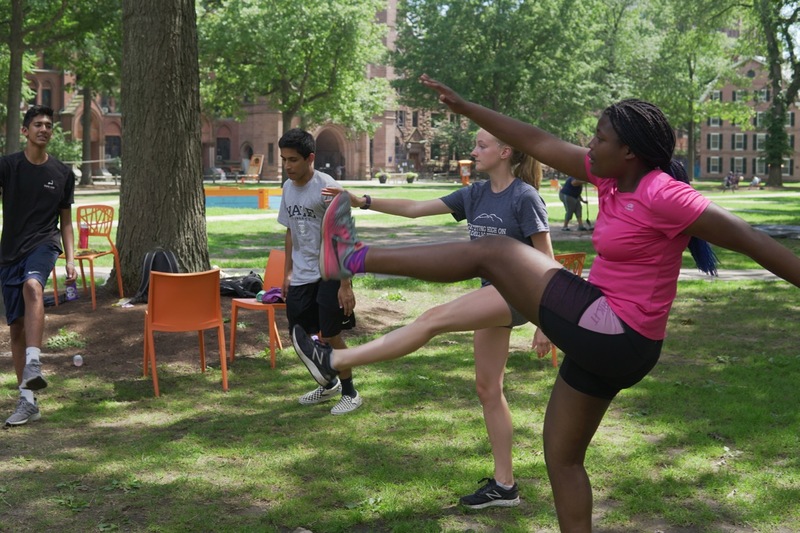 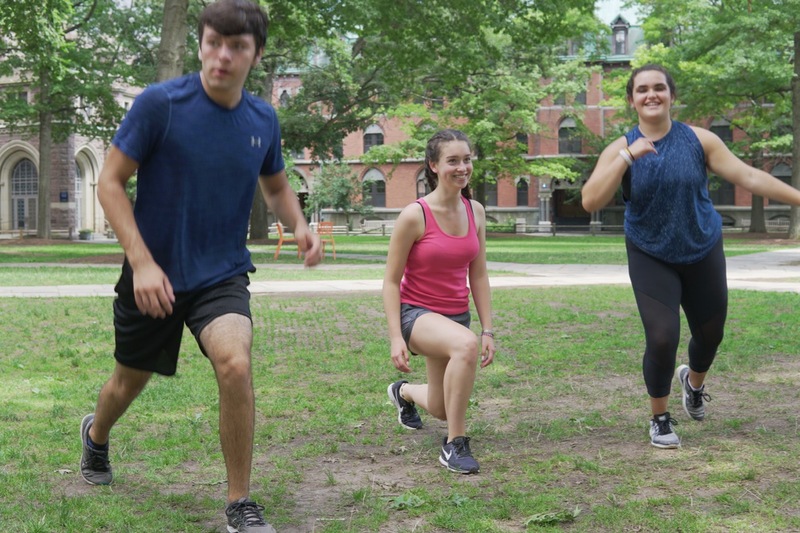 Students get a fun cardio workout in their Zumba Workshop. 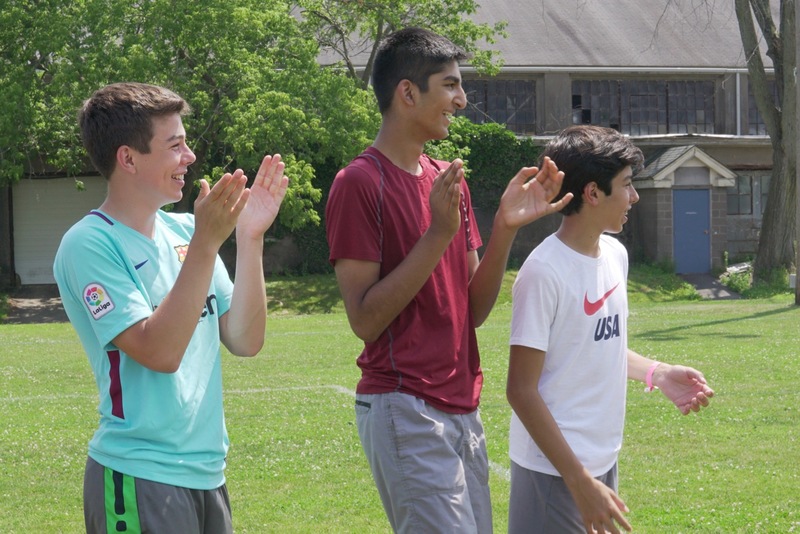 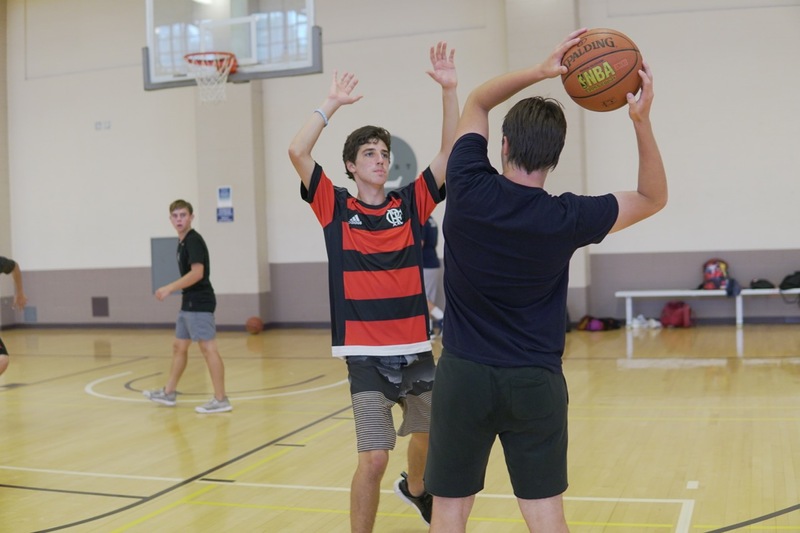 After early period drills, students in Basketball for Boys break into four teams for an active scrimmage. 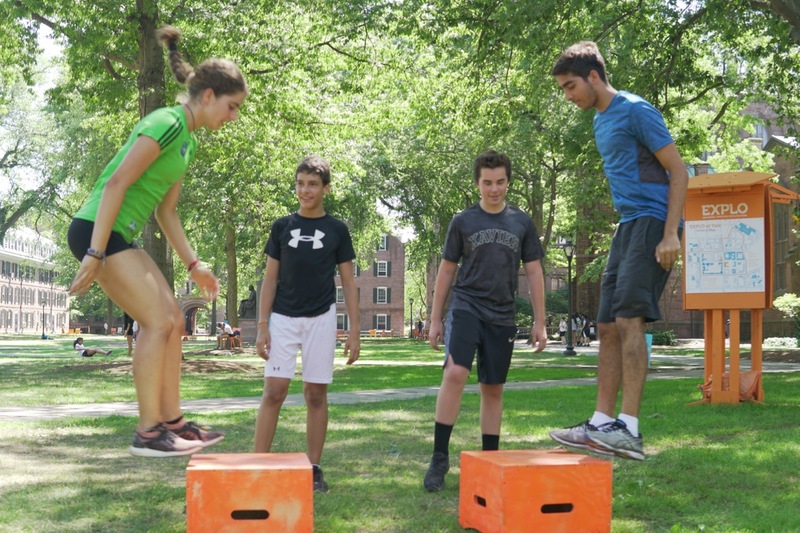 Plyometrics + Speed Training athletes rotate in groups to do strengthening exercises. 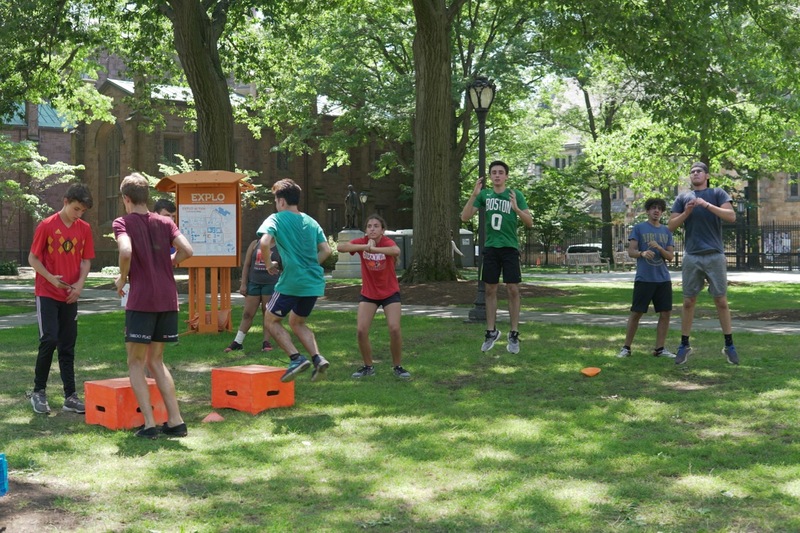 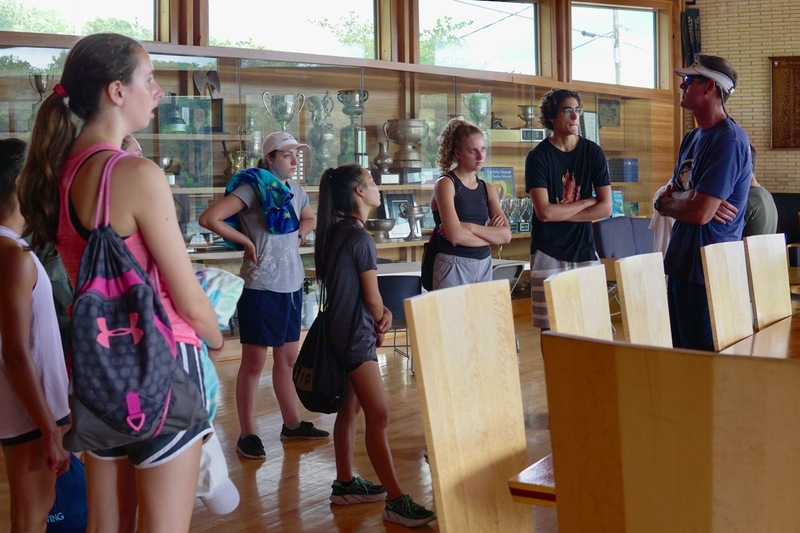 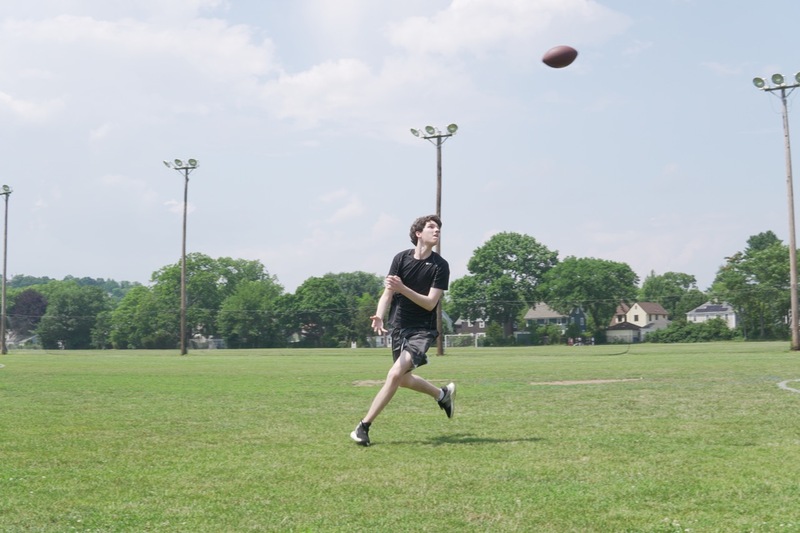 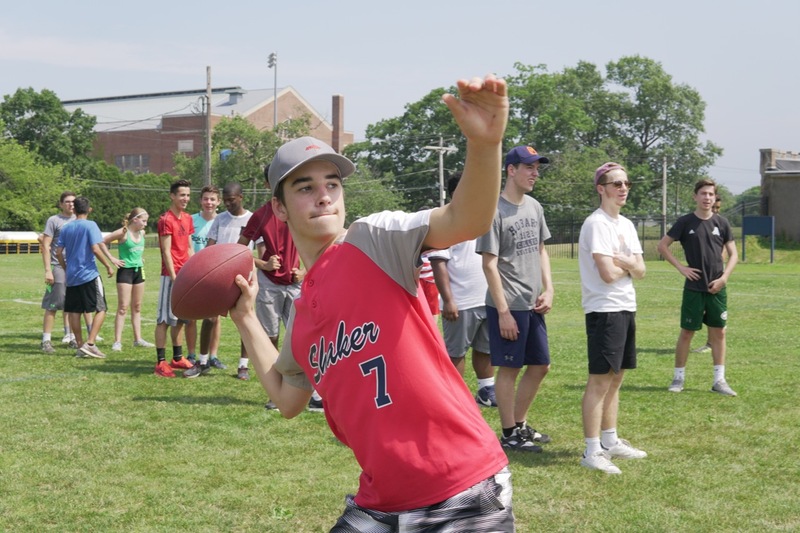 Flag Football students learn the fundamentals of the sport through a variety of drills and activities. 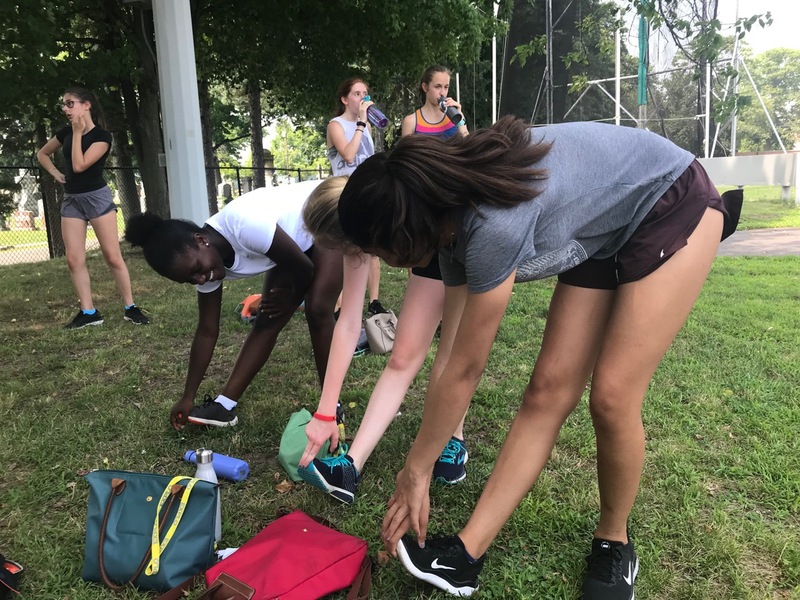 Track and Field students stretch and prepare for a mock track meet this afternoon. 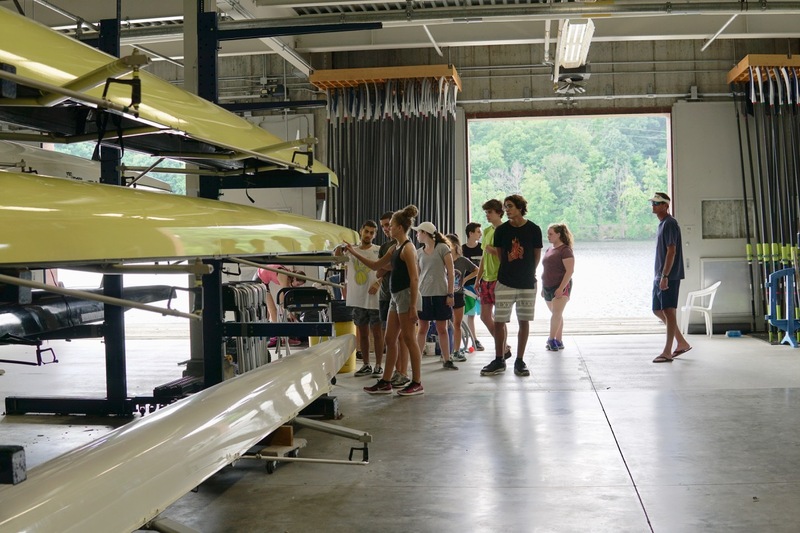 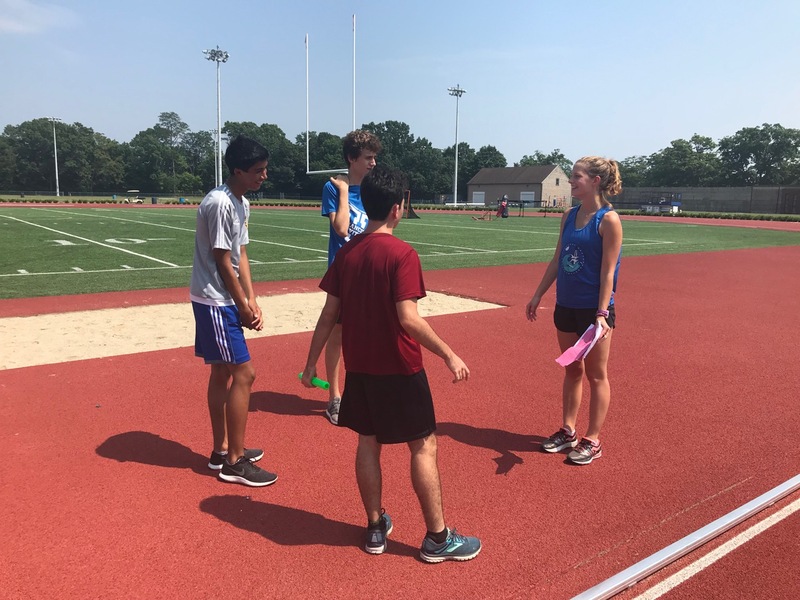 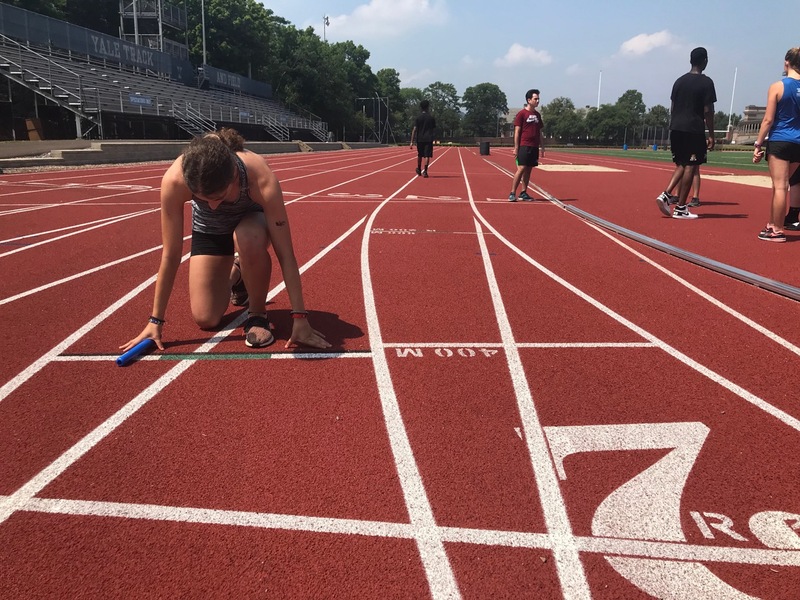 Today's races include a 2 x 400m relay and mile-long runs. 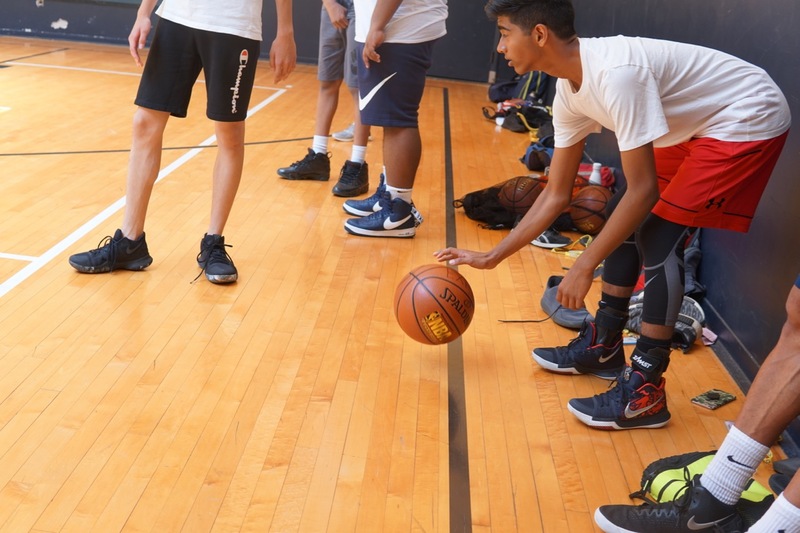 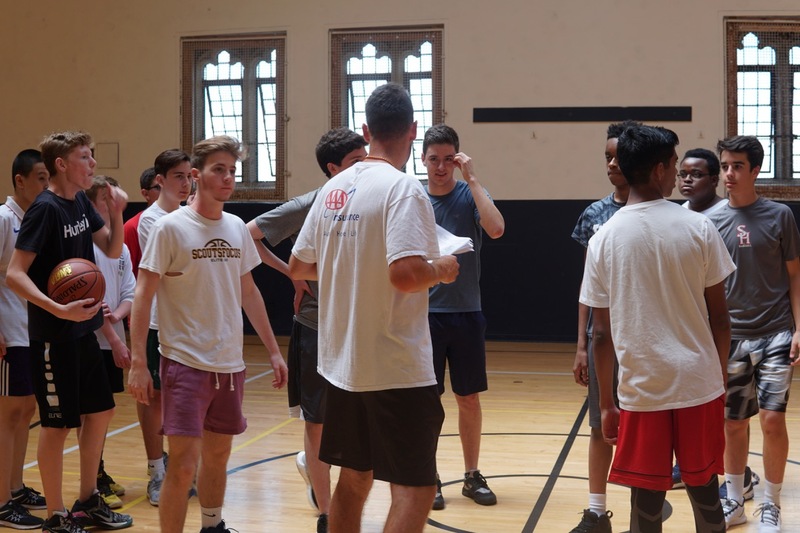 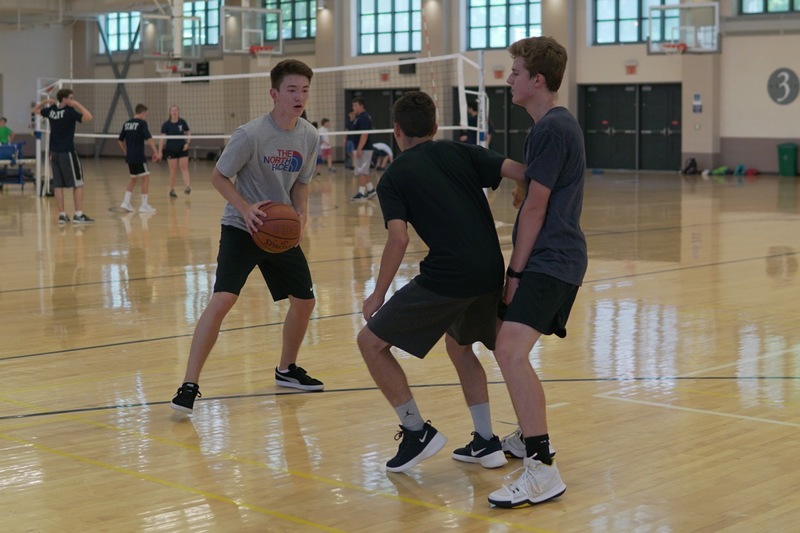 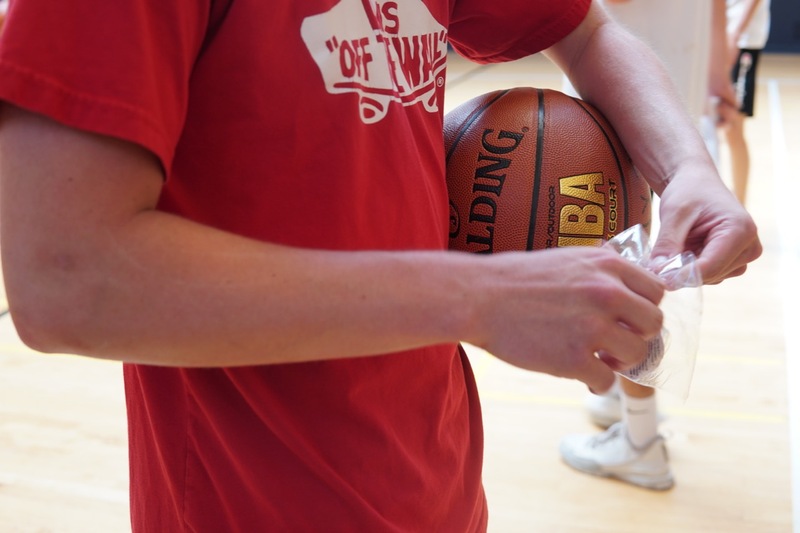 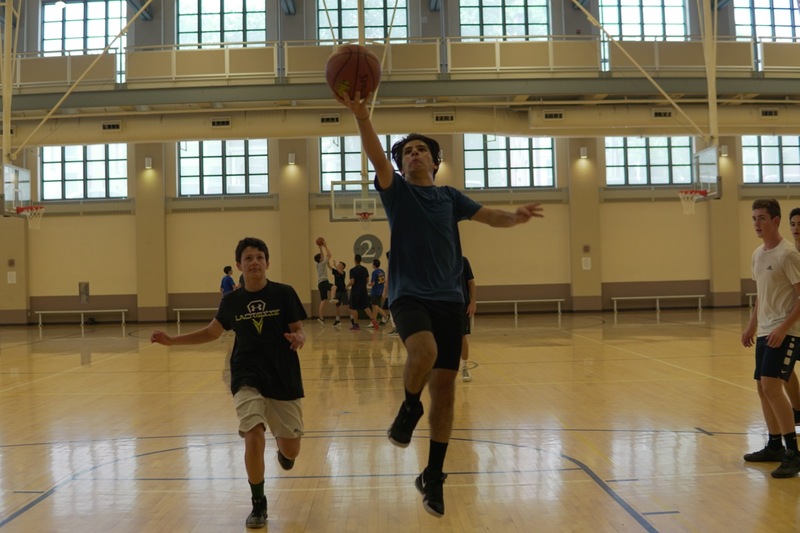 During the afternoon basketball workshop for boys, students participate in an animated scrimmage.